The Cane/Crutch holder is a simple and convenient clip-on device that enables a Cane or Crutch to be safely balanced on a table top. 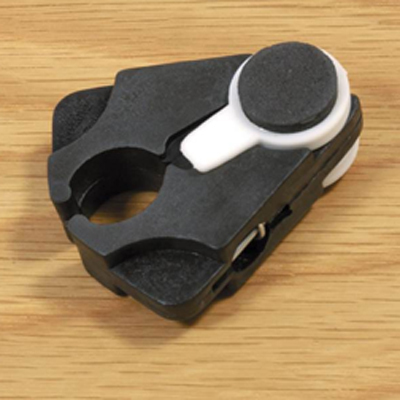 The sprung clip which is integral to this walking stick holder allows easy fitting to the stick or cane. Rubber pads then allow the stick or cane to be 'parked' against any flat surface such as a table, a kitchen work-top or a wash basin. Falling Canes & Crutches often cause accidents and falls which can be prevented by using this unique holder.